Real Madrid ace Lucas Vazquez has ignited speculation regarding Neymar's move to Real Madrid by admitting that 'any club would want him.' The 27-year-old regarded the Brazilian as a world class player, but insisted that it is too soon to speak about signings. Since his big money move to Paris Saint-Germain, Neymar has been heavily linked with a move to the Spanish capital. Reports from Spain suggest that if a bid above £195m is placed on the table, the French giants will allow their star man to leave. The Galacticos are currently missing the departed Cristiano Ronaldo, who switched to Juventus earlier in the summer. While Gareth Bale has been beset by injuries, Karim Benzema and Marco Asensio haven't been scoring consistently. As a result, they are winless in four matches, having failed to find the back of the net in each of those occasions. A world class act, indeed. 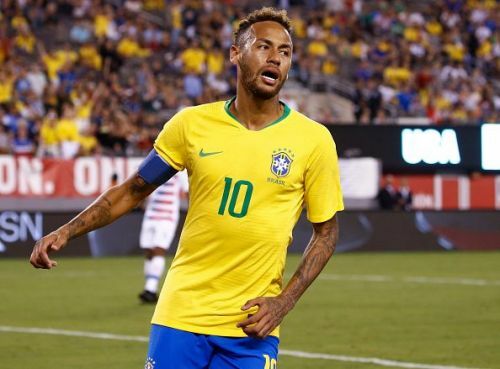 Neymar's transfer rumour mill continues to churn out various possibilities for the forward, but PSG's dominance and progress under new boss Tomas Tuchel should motivate the Brazilian, who has his eyes set on the Ballon d'Or. Meanwhile, Neymar and PSG host Amiens SC on 20 October. Vazquez and co. will be looking to improve their recent performances and get back to winning ways when they welcome Levante.